By your support, we did an excellent job on raising awareness about “save the bees” campaign and about “health benefits” of natural and pure honey. Over the past two years, we worked extensively with our consumers, explaining to them the benefits and importance of consuming pure honey, regularly as part of one's diet, especially our youth. During these two years, products worth more than CA $2,000 were offered as samples, free gifts and to charity. We received excellent feedback from our consumers on quality, taste, purity, and testimonies on better health results. Many have given up refined sugar and are using honey instead. While setting up this company, profit was not our objective as we wanted to run our organization as social enterprise, where we would use our revenues and profits for the greater cause of community. Still to strike big and increase our reach, it is going to be a long journey due to limited resources at our disposal. With lot of overheads to manage and to sustain “Tasty Food & Spices Inc” as social enterprise, we have expanded our business to clothing and accessories. 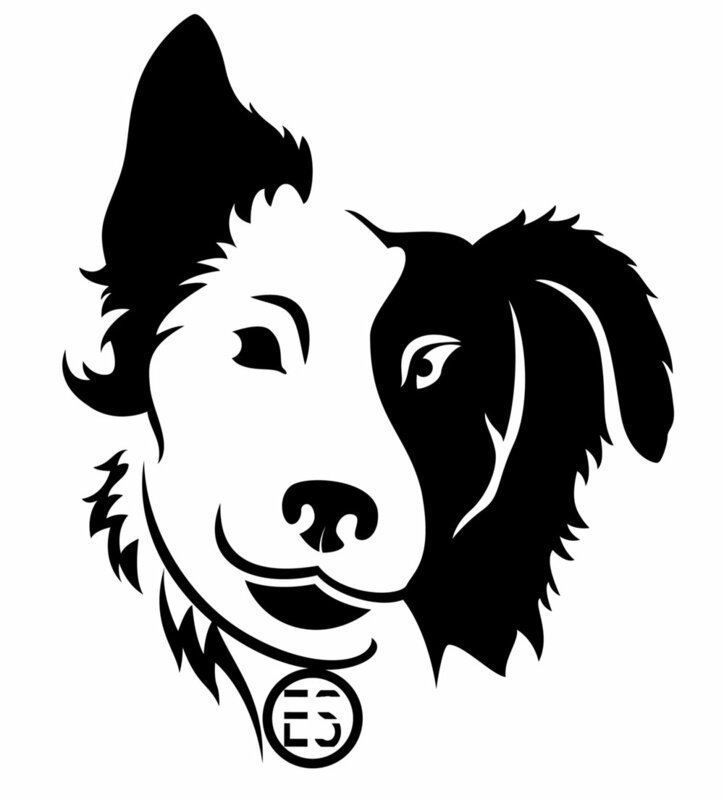 We have branded our business as “English Shepherd” for we are fond of animals and would like to carry the message through our products. Tell your family and friends about us. Beekeeping is a skill and an art. The job is tough, less money but very high level of satisfaction as the contribution by the beekeepers to food and environment is huge. Support us by buying our products, it is a win - win situation for both, you help us to sustain and we give you a product that is healthy! As the seasons change, the taste of honey changes. From early blooming maples and dandelions in the spring to fields of wildflowers in the summer and goldenrod in the fall, each nectar source provides a unique taste. Tasty Food and Spices distributes honey produced by Toronto Bee Rescue. At tasty food & Spices, we have done extensive research on honey and maple syrup produced by beekeepers and maple producers in Ontario. We have picked up top beekeepers in Ontario that produce the best honey based on quality, taste, production facility, sanitation, forage area for bees, integrity and distance of farms from GTA. We have picked up the best maple syrup producers in terms of quality, process and taste. We have done enough research on honey and maple syrup, and have listed for sale only those products that are good for you and your family. At tasty food & spices, integrity comes first. We are a social enterprise that is committed to health and wellness and to add societal value. Visit us on line or in store and shop for the best healthy products in town without worrying about quality, as we take care of that! To enjoy all the benefits of honey, it is very important to buy natural, raw and organic honey as there are many fake honey flooding the markets, that may not have the same benefits as natural honey would have. 1. Always read the label. If it contains added glucose or high fructose corn syrup, it is not real honey. 2. Taste your honey. If you can taste things like flowers or herbs it’s real honey. Fake honey is just sweet, with a smidgen of “honey-like” flavor. 3. Put a small drop of your honey on your thumb. If it spreads it is not pure since pure honey will stay in one place. 4. Add a few drops of vinegar into a mixture of water and honey. If it foams up, your honey has been adulterated with plaster! 5. If your honey does not “crystallize” over time, it is likely ultra-filtered since pure honey will crystallize when you keep in your fridge or over time. 6. Add a few drops of iodine to a glass of water and then add some honey. If your honey turns blue, it has been combined with corn starch and is not real honey. 7. Place a dab of honey on the end of a matchstick and light it. If it ignites, it is pure. 8. Place a spoon of honey in a glass of water. If it dissolves it is fake. Pure honey will not dissolve in water and will sink to the bottom of the glass. Honey picture Tasty Food & spices Inc.
Did you know that honey does not freeze - Try! Honey contains more than 85% different types of sugar (more healthy type of course) and less than 15% water and therefore it does not freeze! Nowadays there are only a few number of farmers and beekeepers that are organic. Not because no one is interested in organic farming, the fact being there are only few areas left that are free from pollution or pesticides. In every country there are small group of farmers, beekeepers, environmentalists that are committed to organic farming. Organic farming is labour intensive and require lot of care to ensure products don't get diseased or infected or if infected, treated with natural substance versus pesticides. We need to support this group in whichever way we could, either by buying their products or raising awareness to the general public about the food that we consume. Today's world we are experiencing rapid expansion of construction activities that pollute land and water bodies. Although many countries especially in the West have strong codes to regulate industries and construction activities from polluting the environment, the sheer growth of population and economic activities increases pollution levels in various regions. It is time that governments of all countries step up to protect environment and crops from pollution and pesticides. Maple Syrup is nature’s wonderful gift to mankind. Canada produces 85% of the world’s Maple Syrup, yet how many Canadians know the benefits of consuming maple syrup? Sadly not enough has been done by Canada to promote maple syrup both in the domestic as well as international market? While shopping for Maple Syrup one has to be careful in selecting the 100% pure version, as there are many cheap and fake versions of this stuff and cheap alternatives like corn syrup and other crap products. Maple syrup is seasonal and labor intensive. One tree can produce between 40 to 60 liters of sap and it takes around 40 liters of sap to produce mere one liter of Maple Syrup. Health benefits of pure Canadian Maple Syrup are far more comprehensive than you might expect, this natural sweetener features over 65 antioxidants that can help delay or prevent diseases caused by free radicals, such as cancer or diabetes. In addition, maple syrup features high levels of zinc and manganese, keeping the heart healthy and boosting the immune system. Calorie levels. Maple Syrup contains mineral nutrients and vitamins, which are an essential part of the daily diet in higher levels than other sweeteners. Maple Syrup is also a natural product with no additives or preservative. In addition to its remarkable nutritional content, researchers have documented that Maple Syrup contains numerous phenolic compounds, commonly found in plants and in agricultural products such as berries, tea, red wine and flax seed. Some of these compounds may benefit human health in significant ways. For example, researchers have documented the natural presence of abscisic acid (ABA) in Maple Syrup, a compound thought to stimulate insulin release by the pancreas. Use of Pure Maple Syrup as an alternative to refined sugar can also add to the antioxidant content of the diet, similar to replacing refined grains with whole grains. Note: Information provided is from various sources and International Maple Syrup Institute. Maple syrup is not intended to diagnose, treat, cure or prevent any disease. For treatment of illnesses seek the advice of licensed health practitioner. Bet the drug companies won't like this one getting around. Facts on honey and cinnamon: It is found that a mixture of honey and cinnamon cures most diseases. Honey is produced in most of the countries of the world. Scientists of today also accept honey as a "Ram Ban" (very effective) medicine for all kinds of diseases. Honey can be used without any side effects for any kind of diseases. Make a paste of honey and cinnamon powder, apply on bread, instead of jelly and jam, and eat it regularly for breakfast. It reduces the cholesterol in the arteries and saves the patient form heart attack. Also, those who have already had an attack, if they do this process daily, are kept miles away from the next attack. Regular use of the above process relieves loss of breath and strengthens the heart beat. In America and Canada, various nursing homes have treated patients successfully and have found that as you age, the arteries and veins lose their flexibility and get clogged; honey and cinnamon revitalize the arteries and veins. Arthritis patients may take daily, morning and night, one cup of hot water with two spoons of honey and one small teaspoon of cinnamon powder. If taken regularly even chronic arthritis can be cured. In a recent research conducted at the Copenhagen university, it was found that when the doctor s treated their patients with a mixture of one tablespoon honey and half a teaspoon cinnamon powder, they found that within a week, out of the 200 people so treated, practically 73 patients were totally relieved of pain, and within a month, mostly all the patients who could not walk or move around because of arthritis started walking without pain. Take two tablespoons of cinnamon powder and one teaspoon of honey in a glass of lukewarm water and drink it. It will destroy the germs in the bladder. Those suffering from common or severe colds should take one tablespoon of lukewarm honey with 1/4 spoon of cinnamon powder daily for three days. This process will cure most chronic cough, cold and clear the sinuses. Daily use of honey and cinnamon powder strengthens the immune system and protects the body from bacterial and viral attacks. Scientists have found that honey has various vitamins and iron in large amounts. Constant use of honey strengthens the white blood corpuscles to fight bacterial and viral diseases. Cinnamon powder sprinkled on two tablespoons of honey taken before food relieve acidity and digests the heaviest of meals. A scientist in Japan has proved that honey contains a natural 'ingredient' which kills the influenza germs and saves the patient from flu. Tea made with honey and cinnamon powder, when taken regularly, arrests the ravages of old age. Take four spoons of honey, one spoon of cinnamon powder and three cups of water and boil to make tea. Drink 1.4 cup, three to four times a day. 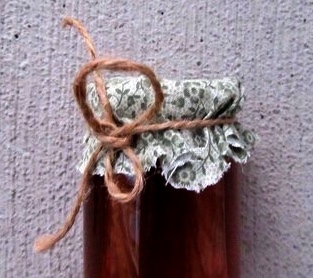 It keeps the skin fresh and soft and arrests old age. Life spans also increase and even a 100 year old starts performing the chores of a 20 year old. Three tablespoons of honey and one teaspoon of cinnamon powder paste. Apply this paste on the pimples before sleeping and wash it next morning with warm water.If done daily for two weeks it removes pimples from the root. Daily in the morning one half hour before breakfast on an empty stomach, and at night before sleeping, drink honey and cinnamon powder boiled in cup of water. If taken regularly, it reduces the weight of even the most obese person. Also, drinking this mixture regularly does not allow fat to accumulate in the body even though the person may eat a high calorie diet. Recent studies have shown that the sugar content of honey is more helpful rather than being detrimental to the strength of the body. Senior citizens, who take honey and cinnamon powder in equal parts are more alert and flexible. Dr, Milton, who has done research, says that a half tablespoon of honey taken in a glass of water and sprinkled with cinnamon powder, taken daily after brushing and in the afternoon at about 3.00PM when the vitality of the body starts to decrease, increases the vitality of the body within a week. Bee products are not intended to diagnose, treat, cure or prevent any disease. They may cause allergic reaction in some individuals. Information in this article is given for informative purposes only. For treatment of illness, seek the advice of a licensed health practitioner who is qualified to make diagnosis and recommendations for treatment of illness. What's the difference between honey and maple syrup sold by Tasty Food & Spices versus other stores? At Tasty Food & Spices we sell only pure Ontario honey and maple products that are locally produced by farmers in Ontario versus products that are mixed with corn starch, sugar water, preservatives, pasteurized, that are available in other stores. Our products have numerous health benefits and can be consumed for general well being. We had a wonderful Christmas bazar event at Tall Pine Long Term Care and Bramalea Retirement Residence. Participating in Christmas bazar at Tall Pine Long Term Care and Bramalea Retirement Residence was a great experience. We could share the joy of Christmas spirit with residents and guests. Some of the residents were physically challenged and yet we could see cheerfulness in their demeanour that brought on positive energy. It was a great event and we could say Canada has best of facilities for retirement homes and long term care centres. The employees and volunteers that work with the residents carry on their duties with great enthusiasm and stand out as one large extended family! Tasty Food & Spices experienced true christmas spirit with the residents. Royal Jelly is considered the most precious gift of the hive! Royal Jelly is a milky-white sticky jelly produced by the worker bees, it has been known to enhance both physical and mental performance. Proponents claim that Royal Jelly can help treat variety of health problems. Tasty Food & Spices endeavors to promote healthy food and eating habits in people, by buying products from Tasty Food & Spices you are helping yourself and in turn helping Canadian farmers! Bee Pollen is the only known food which contains every essential nutrient needed by mankind for perfect health. It is a complete protein and is the only known food to contain all (22) amino acids, which includes all (8) of the essential amino acids needed by the body that we do not produce ourselves. Bee pollen contains vitamins A,B-1,B-2,B-3,B-5,B-6 and B-12, C, D, H, K, E, Chlorine, Folic Acid, Panothenic Acid, Rutin. It contains these major minerals - Calcium, Phosphorous, Iron, Copper, Potassium, Magnesium,Silica,Sodium,Iodine,Chlorine,Baron,Titanium,Zinc and Molydebenum. Speeds up healing process, Great energy booster, Appetite & Weight management, Relieves "Seasonal allergies", Lowers blood pressure, Asthma, Fatigue, Pre-menstrual & menopause, Skin conditions, Feeling of well being, Athletic Endurance, Alertness, Increases the body's resistance to stress & disease. When we think of honey bees the first thing that comes to our mind is "Sting" Next, it occurs to us is they produce honey! But how many of us know the benefits of natural honey? Sadly most of the consumers seldom use honey? Some occasionally use as home remedy. What is missing in homes today is using honey regularly as part of nutritious diet. Worried of sugar, well honey is sweeter than sugar, so less can be used to achieve the same intensity of sweetness. 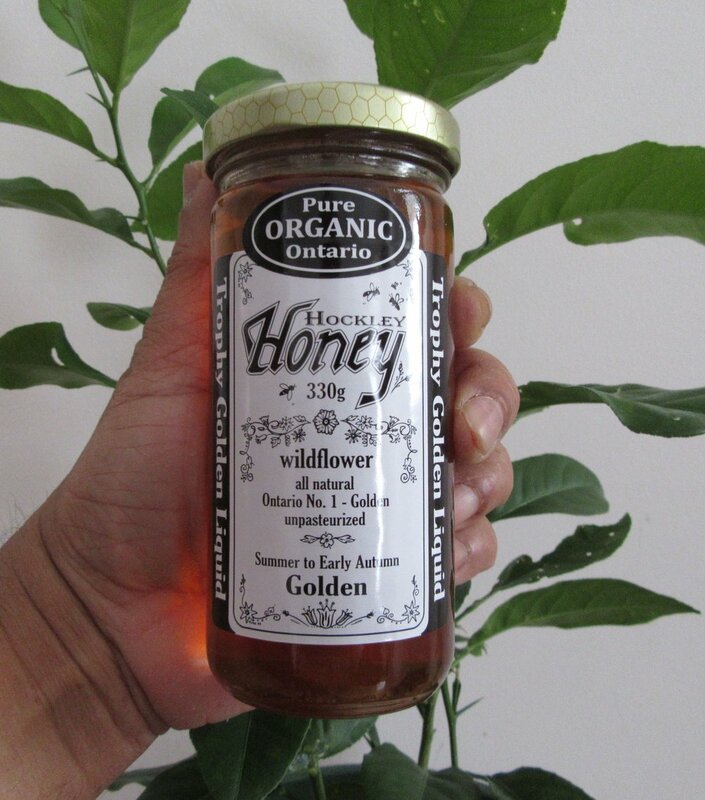 For many years, honey has been valued for its many healing properties. It can help calm mind the mind and promote rejuvenating sleep. It relieves indigestion and is used to treat cardiovascular disease and respiratory complaints. And, a thin coat of honey can be applied to the skin to disinfect and heal minor skin wounds and chapped lips. Applied externally, honey is useful for healing minor cuts and abrasions by drawing excess water from the tissues and reducing swelling. Honey also contains a germ-killing substance called "inhibine" which helps prevent infections. Spread honey directly on the wound and cover with a sterile bandage. Honey is an outstanding household remedy that can be used in combination with various medicinal herbs. For relief of coughs and wheezing associated with bronchitis, whopping cough or other minor respiratory ailments, mix one teaspoon of finely chopped fresh thyme in a little honey. Take the mixture orally as needed to soothe inflamed lungs and airways. Honey tastes delicious and is good for you too. Note: Bee products are not intended to diagnose, treat, cure or prevent any disease. They may cause allergic reaction on some individuals. For treatment of illnesses consult your doctor. We all love to eat, and food is available everywhere from the kitchen of our homes to street vendors, cafes, quick service restaurants and fine dining. There is plenty of choice for food when it comes to restaurants, local, ethnic, international, fusion et al, and experimenting all, we still love our home food, our mothers cooking! At Tasty Food & Spices, we recognized the needs of our customers who love home prepared food that is not commercially prepared thereby not loosing the freshness of ingredients and preparation. Our objective is to promote healthy food and eating habits amongst our busy community who are tired of eating greasy and oily substance and are craving for home prepared food. Our food is suited to singles, couples, students who do not have time to prepare their food but would like to sit together and have a home style tasty meal to their hearts content. We can customize our preparation to the dietary requirement of our customers as well. We are small time business and do not take big orders or do commercial catering, hence we are able to maintain the taste and preparation true to home style! Place your order now and taste our food, we bet, you will not regret! When the sweet nectar from the bee hives is extracted, they bring variety of products to the table full of natures goodness. Honey is a natural, unrefined, sweet fluid produced by honeybees from the nectar of flowers. It is 25% sweeter than sugar and consists of two simple sugars, laevulose and dextrose. It is 17% water and contains traces of the sugar maltose and sucrose, as well as vitamins, minerals, organic acids and enzymes. Because honey is mainly made of simple sugars, which are quickly absorbed into the bloodstream, it is an instant source of energy. The most common variety of honey comes from the nectar of clover. Other delicious varieties are produced from the nectar of canola, alfalfa, blueberries, sunflowers, fruit trees and wildflowers. The colour of the honey depends on the type of nectar collected by the bees. Clover produces honey with the lightest colour and mildest flavour. Buckwheat honey is the darkest in colour and strongest in taste. Creamed honey, which always remains smooth, is prepared by adding finely granulated honey to liquid honey and storing it in a way that controls crystallization. This process ensures only small uniform crystals form in the honey so it remains smooth and easy to handle. Comb honey is honey sold in its unaltered state - sealed in the wax made by honeybees in the hive. Bees and the beekeeping industry are of the utmost importance to the health and vitality of Canada's agricultural industry and to the country's economy. Bees play an indispensable role in the pollination of the essential crops. In fact, bees are responsible for the health of $170M worth of crops in Ontario each year. The average Canadian consumes a little over one pound (454g) of honey per year. Bees must visit about two million flowers to make one pound of honey. To reach all these flowers, bees often fly a distance equivalent to a trip around the world, just to get enough nectar to produce a single pound honey. When a honeybee lands on a flower to collect nectar, it gets covered in pollen. The dust-like pollen clings to the hairs on the honeybee's body. When the bee visits the next flower, the pollen on its body brushes off against the female part (pistil) of that flower, leading to pollination - the fertilization of a flowering plant. Bees also collect pollen and take it back to the hive where it is used as protein source necessary during brood-rearing. Amazing natures food for all of us humans to enjoy and benefit health wise isn't it? Buy natural unpasteurized honey sold by farmers or by their distributors in Ontario and support Canadian farmer and its economy.